April 11, 2019, 7:00 a.m.
There’s no doubt about it, Britain loves the royal family. 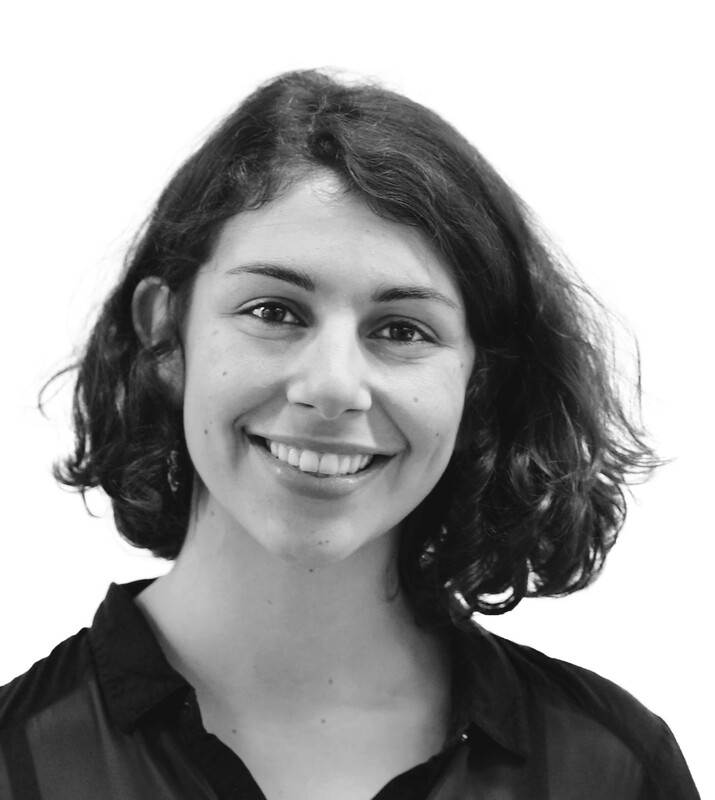 Previous YouGov research shows that over two thirds of us support the monarchy, although that backing seems to waver among the young - the figure falls to just 57% among 18 to 24 year olds. But how many of us would actually like to be a royal? A new poll for the “Britain Is A Nation Of” podcast reveals that Britons are split down the middle: half (50%) would rather remain a commoner, but 44% say they would like to join the royal family. 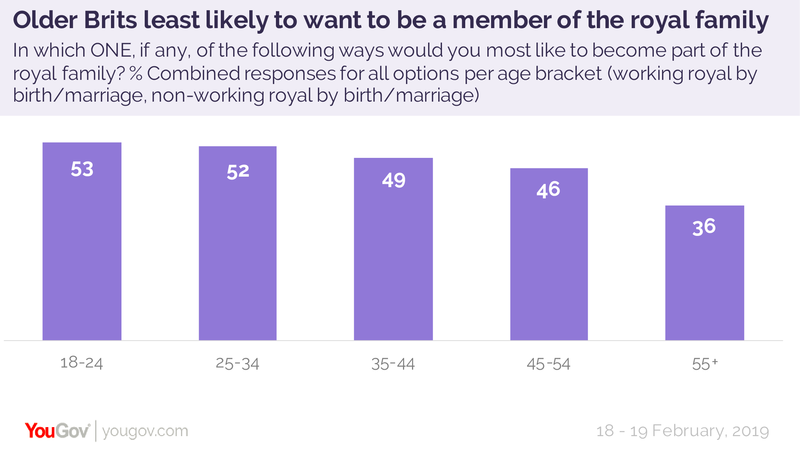 Despite being less likely to support the monarchy than older generations, half (53%) of 18 to 24 year olds say they’d like to be a royal themselves, compared to just a third (36%) of those aged 55 and above. Men and women are equally likely to want to be royals (44% men, 45% women), showing that the position of prince and king is equally attractive as princess and queen. If they’re going to be a monarch, it seems Britons would rather go the whole way and carry out official engagements on behalf of the Queen as ‘working royals’ - as opposed to simply holding a title. 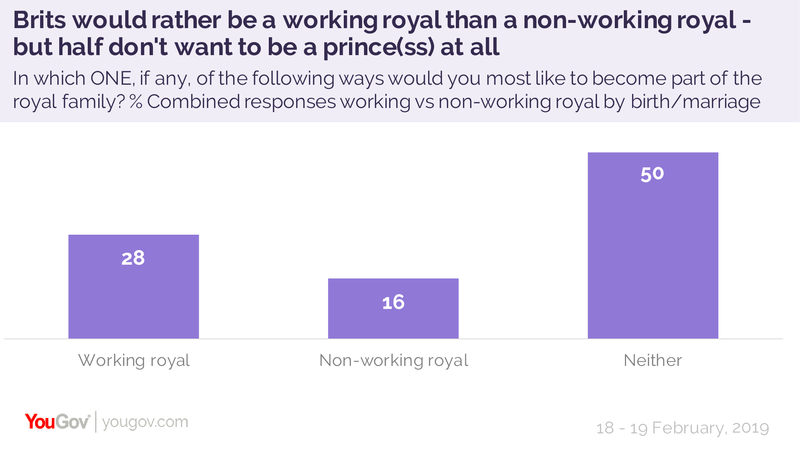 Three in ten (28%) say they’d like to be a working royal either by birth or marriage, while just one in six (16%) want to be a non-working royal. The least popular option is non-working royal by birth, which is the favoured option of one in twenty Britons (6%).